Empowered by our immense industrial experience, we are offering specifically engineered Box Strapping Machine in the market. This machine is featured with durable electro-magnetic clutch transmission & new heater plate design which improves warm-up-time. This machine is manufactured using top grade material and modern techniques, under the guidance of our experts. 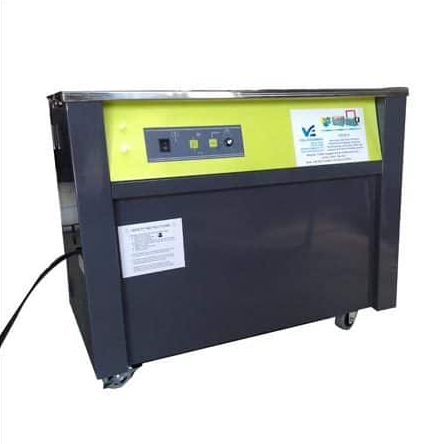 This machine is well-known for its superior performance, smooth operation, durability and long life. We are providing this Box Strapping Machine in the market at leading market price.